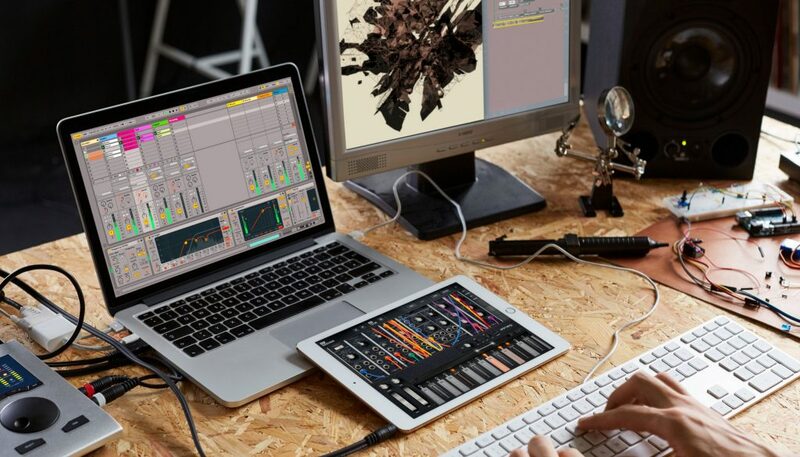 Ableton Link is coming to desktops, and going completely open source. And that means the best tool for wireless sync and jamming is about to get a lot more popular. On iOS and for Ableton Live users, Ableton Link is already a revelation. It allows any number of different apps to sync up with one another without fuss. That includes two more machines running Ableton Live, of course. But it could also be two apps on an iPad, or an iPhone and an iPad, or an iPad and a copy of Ableton Live. It completely changes live jamming: instead of needing tech and setup, you only need friends. And this is what was unique about Ableton Link. Almost from day one, it was something that embraced developers outside Ableton’s own offices. Well, that’s about to accelerate – a lot. Ableton Link goes from being a tool for Ableton Live that happens to have an iOS mobile SDK to a lot more. You can actually look at this as several things happening at once. Ableton Link is desktop-ready. There’s now a complete desktop SDK available on GitHub, complete with example apps for Windows, macOS, and Linux. There are desktop partners – Propellerhead, Cycling ’74, and Serato. Um, wow. Not only are these the developers of three flagship apps, but they each represent essential music making communities (the Reason, Max, and Serato DJ communities being some of the most passionate anywhere). 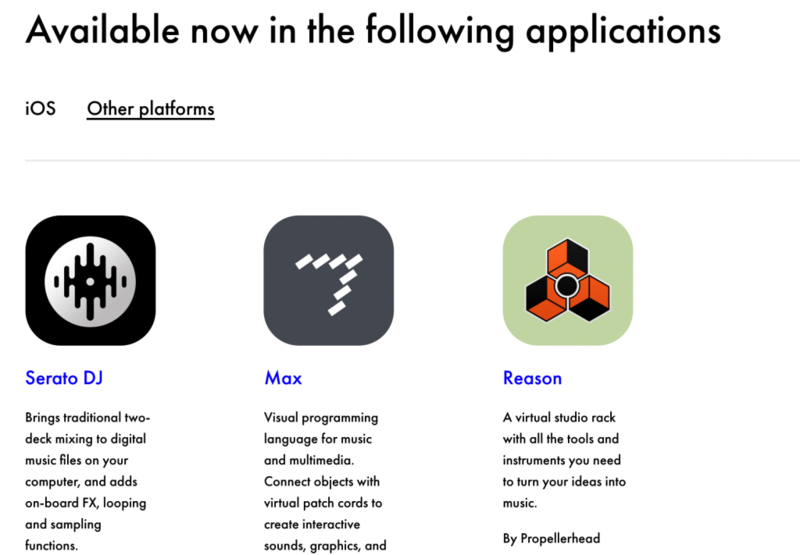 And they mean the launch partnership covers three categories of tools (a music studio, a DIY music toolkit, and a DJ app). Obviously, more will follow. I’m disappointed not to see Native Instruments here, for instance, as I think being involved is important to NI’s stated mission of pushing standards. 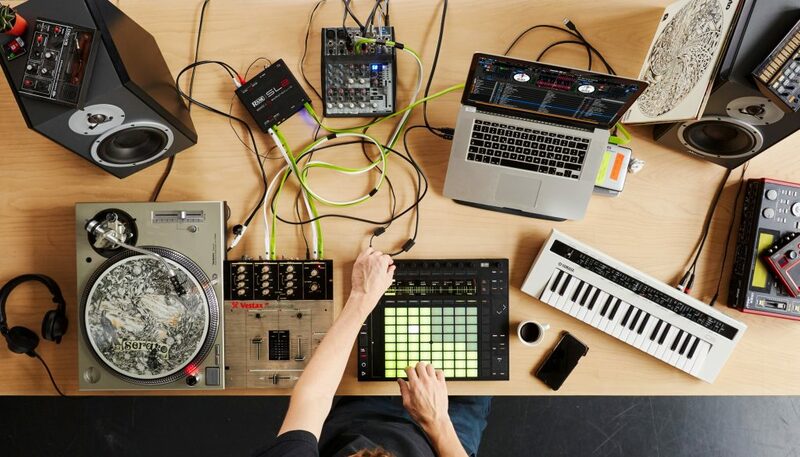 Serato joins Ableton. All photos courtesy Ableton. The iOS SDK has also been updated, and will continue to grow. There’s a 2.0 SDK, improved example apps, and of course Link is becoming a standard in iOS tools that use sync. More platforms can follow. Now, here’s where things get interesting. Linux support means all kinds of unique platforms, like the Raspberry Pi. (The Link team has already tested a RasPi; I will, too, for sure.) That opens up sync-able hardware. And while there’s no official Android SDK or example apps, I’m certain we’ll see some intrepid Android developers make their own in a hurry – there’s already everything they need in the SDK. Now, having heaped that praise on Ableton, I think the next step is up to us. We have to build interesting apps with this tech, and find ways of playing with tools and with each other to make better music. I also hope those of us advocating open source software and education (cough, uh, like me) can find ways of helping people realize their own ideas for new tools with this platform.